Smoothies are tasty and can be nutritious. They are a good meal replacement for any meal. If you buy a smoothie at a fast food restaurant, you are likely to get a glass with some fruit and too much added sweetener and milk products. 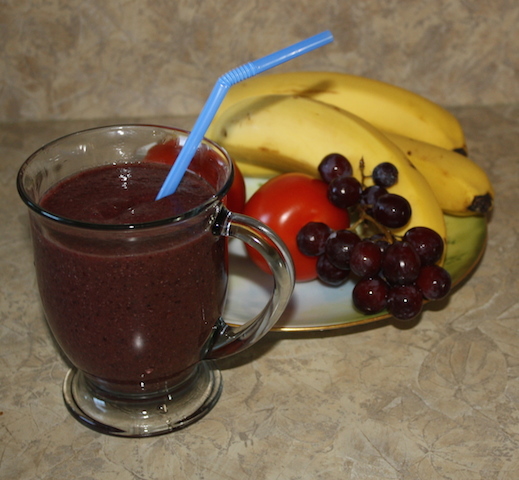 A good healthy smoothie should contain mostly fruit, seeds and nuts. 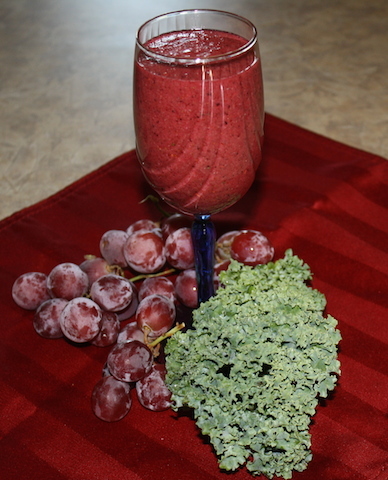 Only natural ingredients should be added to make a healthy smoothie. 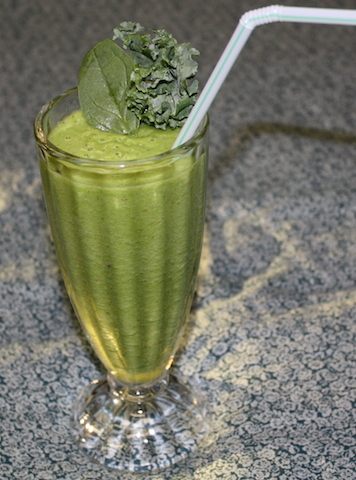 There are many healthy smoothie recipes on the net. There are some not so healthy, but you can adapt them if necessary. There are so many nutrients in spinach. The whfoods site has a chart showing all of the nutrients on a rating system chart. 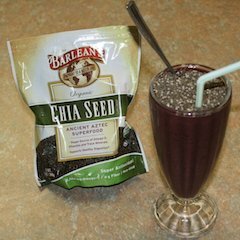 Chia seeds help to lower your cholesterol. They are good on a weight loss program. 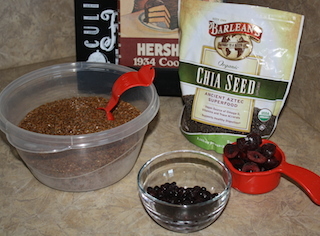 Chia is a superfood worth eating. 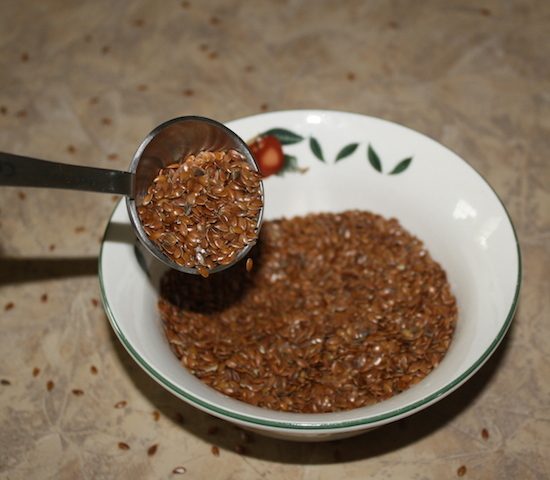 Flax seeds must be ground before use in order for the nutrients to be useful. Two tablespoons a day is beneficial. Consuming flaxseeds during pregnancy should be discussed with your doctor. Avocados are also considered a super food. They are beneficial in a cholesterol lowering diet. They are good in salads, on sandwiches, in smoothies, or just sliced and eaten as is. Nuts Different nuts have different nutrients, but all of them are a healthful addition to your smoothie. There are many varieties of nuts. All of them are good eaten in moderation. There is a good chart comparing the nutrients of various varieties from the U.S. dept. of Agriculture. 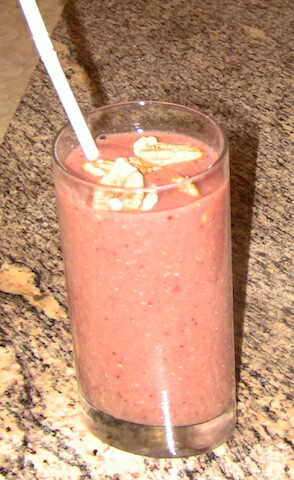 Nuts can be blended into the smoothie or served on top for texture or to just enjoy eating the whole nut. If you haven't tried all varieties of nuts, you should do so. They have unique flavors and differ in nutrients. Place all ingredients in a blender container adding water to the fill line in a bullet or to cover fruit in a larger container. Blend until smooth. Enjoy! I wanted a light sweet fruit smoothie this morning, so I had a pink smoothie. 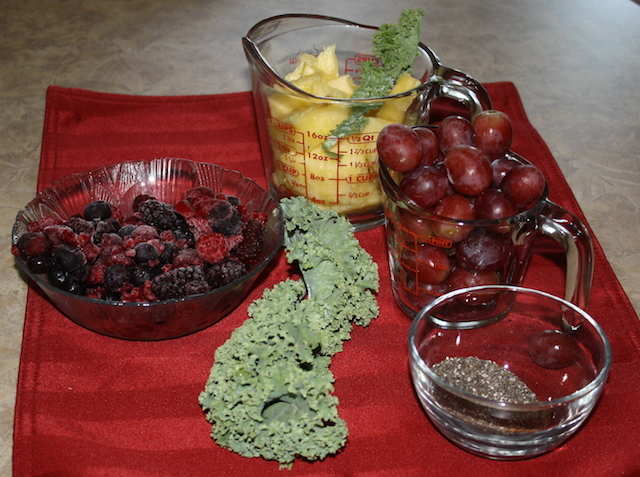 Remember when you make a smoothie to taste each piece of fruit you are going to add. If the fruit isn't great, then the smoothie will not be so great either. Of course, it is difficult to taste and then stop tasting. Well, maybe that is just me. 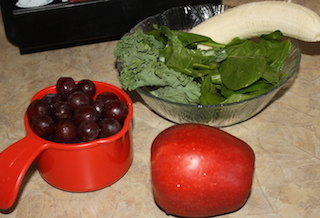 Put all ingredients into blender container and blend to desired consistency. 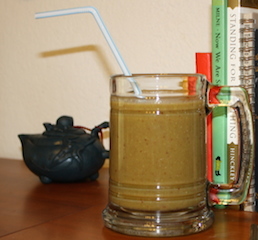 You may add kale and/or spinach to the smoothie, but the color may change a little. It will be more nutritious though. This makes plenty to share. fruit or vegetable you want to leave out or add, it will still be good. You may add up to 1 T of pure maple syrup if the smoothie is not sweet enough. I always taste all of the fruit before I add it to make sure it is sweet. 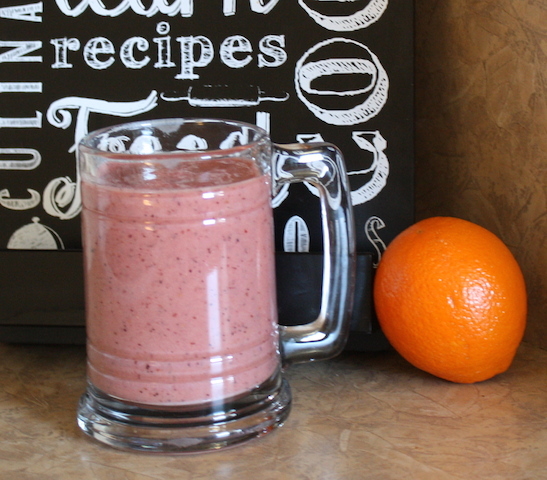 "Nothing wakes you up faster than a colorful delicious smoothie in the morning."